There’s just something about the first book in a series by a new author that is so fun and exciting to be a part of. Meet Nym, a 17-year-old slave who is living in Faelen, a kingdom at war with Bron. Not only is she a slave, she also has insane powers that she can’t control — she is an Elemental and she should not even exist since there has never been a female Elemental before. As an Elemental, she can influence the weather depending on her moods, but she can’t control her powers. Probably one of the last of her race, she is an anomaly and a self-proclaimed murderer. When a woman of importance sees her powers in action, she immediately buys Nym and has Eogan train her to control her powers. Caught up in a political war, Nym is Faelen’s secret weapon if she can learn to control her powers. After seeing that this book was nominated for a 2014 award, I knew that I had to read it — YA and by Thomas Nelson? Count me in. I looked the book up and found it was available at my local public library! Woohoo! I had it put on hold for me and was able to go pick it up and read for FREE. I do love a good library find. I absolutely loved this book. The story is fast-paced and exciting. I loved all of the fantasy and magical aspects of the story. I wish Nym and Eogan were real. HAHA. I enjoyed Weber’s world building and am definitely excited to read more. 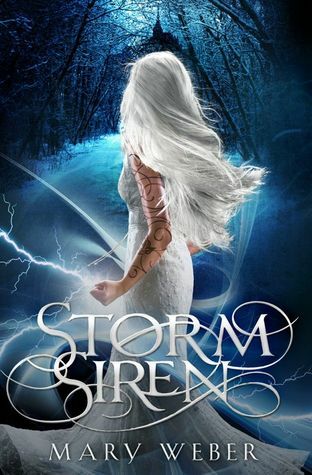 Of course, the ending had me running to read the ARC for the next book, Siren’s Fury, which comes out next month; it also does not disappoint (review to come). I recommend this book to anyone who enjoys a fun, exciting, young adult read with fantasy and magical elements.